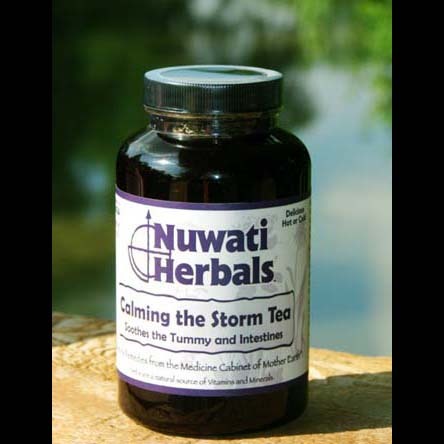 Try diluting Calming the Storm and sipping throughout the day at room temperature to help keep the digestive system in balance. We have heard from several customers that they even make Calming the Storm ice cubes or ice chips. Ingredients: Ginger Root, Alfalfa Leaf, Chamomile Flower, Fennel Seed, Licorice Root, Peppermint Leaf, Red Clover Blossoms, Yarrow Leaf, Cat’s Claw Bark.